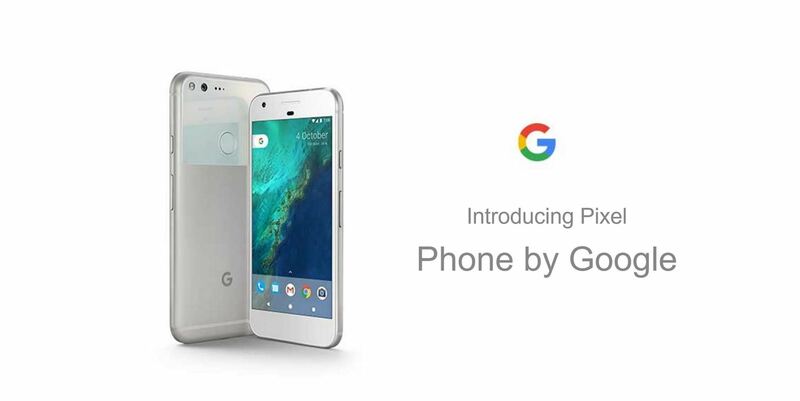 If you just can't wait to see the Pixel and Pixel XL, the new Google-branded smartphones expected to be announced tomorrow, you're in luck. After weeks of rumors and blurry images, a smartphone sales company called Carphone Warehouse just accidentally dropped the entire ball. 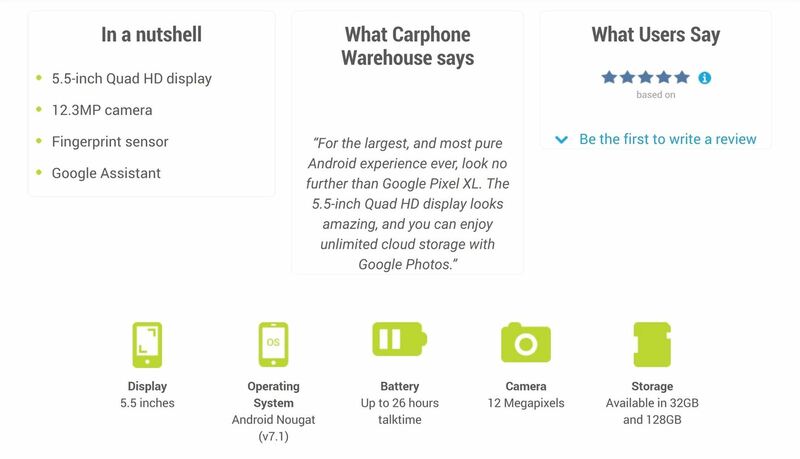 The UK business accidentally set the product pages for the Pixel and Pixel XL live a couple days early, and for just long enough for them to be archived before they were taken down. 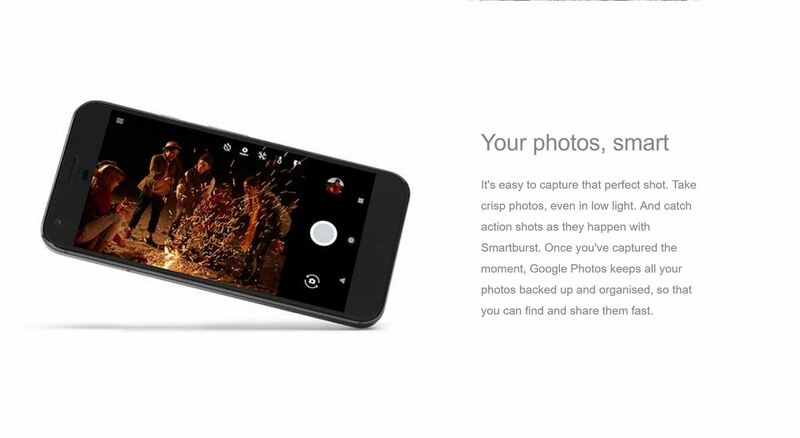 The pages contained the phone's specs, but also a few slides describing its various features. The biggest news here is that the devices will both be running on the Snapdragon 821. As I mentioned in the rumor roundup last week, this means that the Pixel and Pixel XL will be the first devices to be fully capable of running apps designed for the Daydream VR headset, also expected to be announced tomorrow. It also means that Google's own devices are just that much better than the flagship devices launched this year by pretty much all of their partner OEMs, most of which have Snapdragon 820 chips. 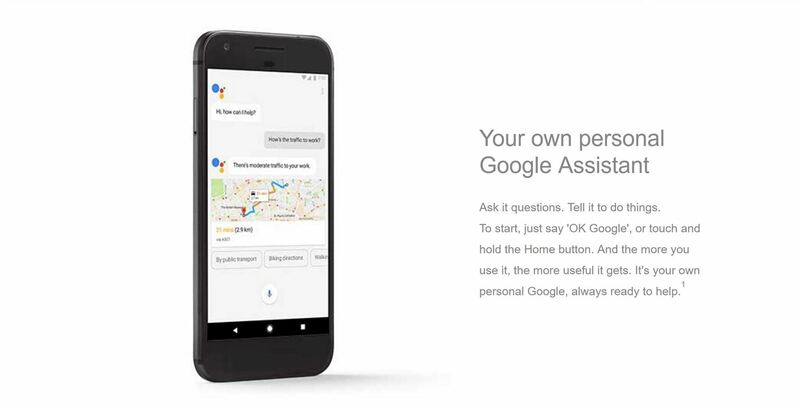 Beyond the specs, the archived pages also offer a look at some of the software and features that Google hopes will prove to be selling points. 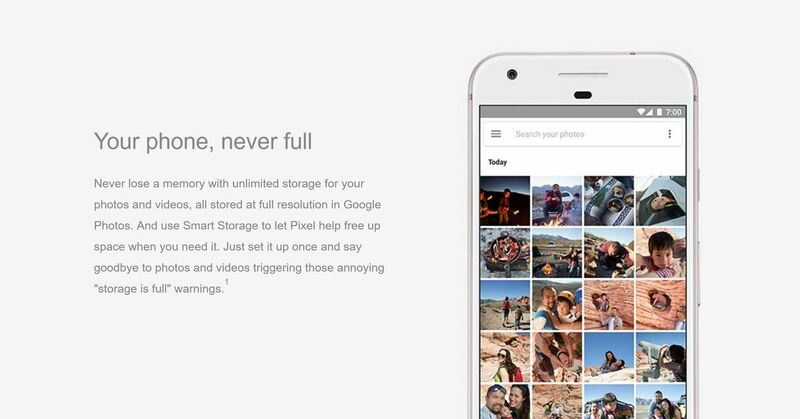 Among these are photo features like Smartburst, Smart Photos, and unlimited cloud storage. 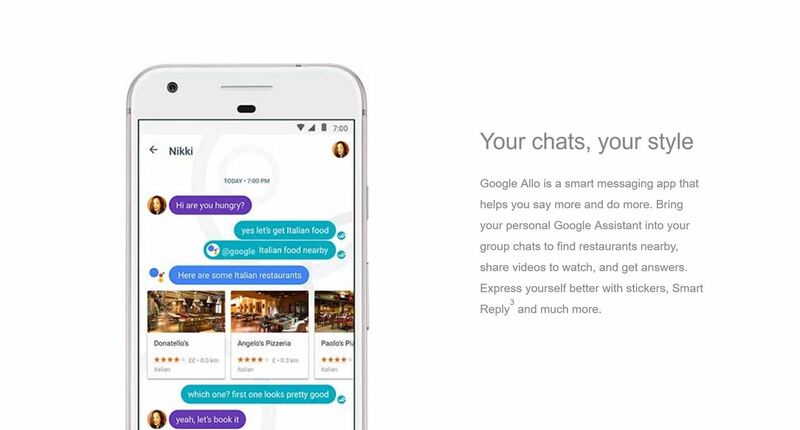 Unsurprisingly, both Allo and Duo, Google's recently launched messaging apps, are pictured, and show Google Assistant integrated into Allo. We also see that the devices will feature USB Type-C ports with a fast charging technology, likely Qualcomm's Quick Charge considering it comes as a standard option on the Snapdragon 800 series processors. Thanks to this technology, just a 15-minute charge provides around 7 hours of battery life. Additionally, the specs section claims that the 3,450 mAh battery (Pixel XL) will enable 26 hours of talk time and 456 hours of standby. Check out the images below for more details and stay tuned for full coverage on tomorrow's big event.